It can be difficult to find creative ways to highlight your book. Now you can promote your masterpiece easily with this great looking web banner set. 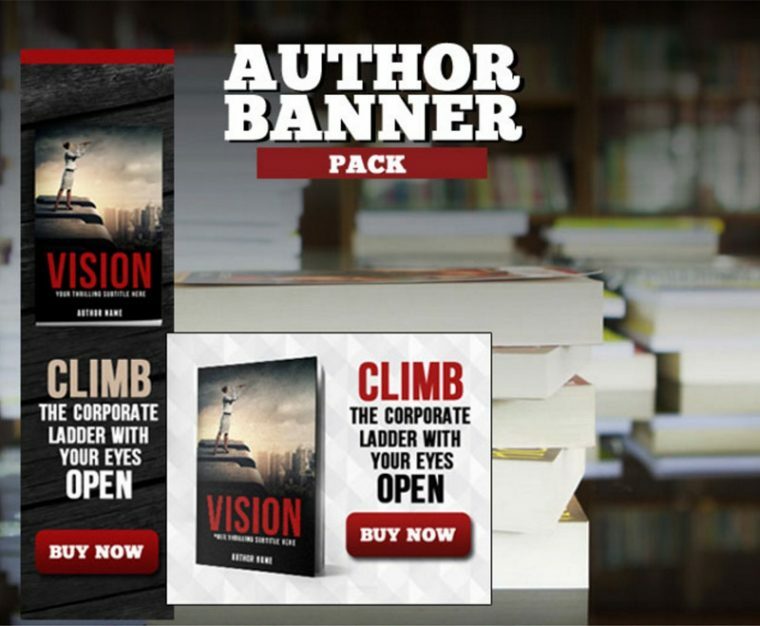 With five sizes and two styles, these high-quality web banner template files are ready for your book marketing and promotion campaigns. Each PSD file is layered and fully organized. You can use these graphics for your personal use like your website or Facebook page, as well as for advertising through Google AdWords or on other websites. This banner set has a collection of both light and dark designs, perfect for any sale, promotion, or other web advertising campaign. You get 5 standard web banner sizes, and each banner size is in a separate PSD file for easy editing and output. Text, colors and shapes are fully editable. A “Smart Object” layer is used to turn your cover into the 3d mock-ups used in the ads.